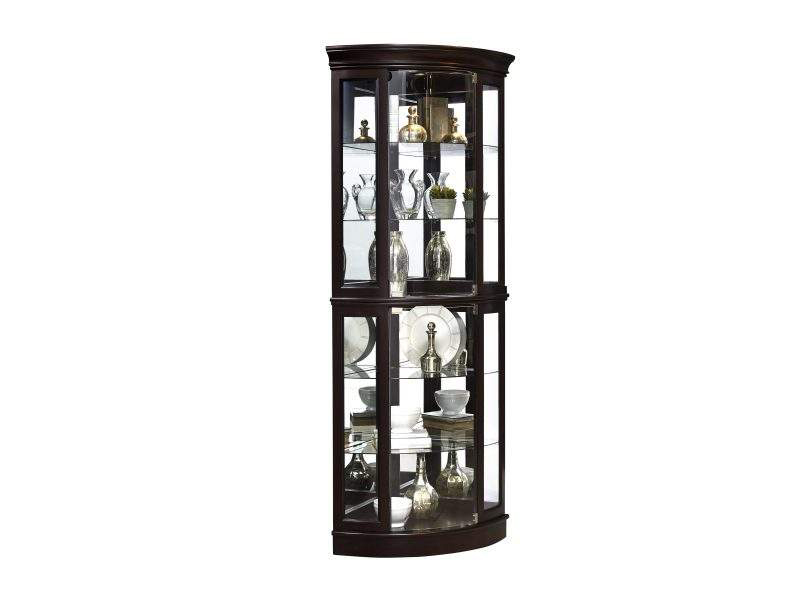 Give your favorite collections a showcase in this elegant Curio with gracious curved front and rich Sable finish. The Cabinet's mirrored back and an LED light (with 3way touch dimmer) draw even more attention to the items displayed inside. From a practical standpoint, the curio's two front-opening glass doors give you easy access to the interior, while four adjustable glass shelves allow you to house a wide variety of objects.